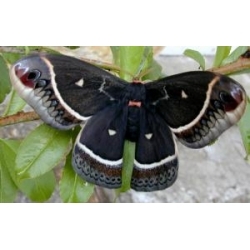 Calleta Silkmoth Eupackardia calleta Mexico and southern USA 15 eggs or 10 larvae according to availability. 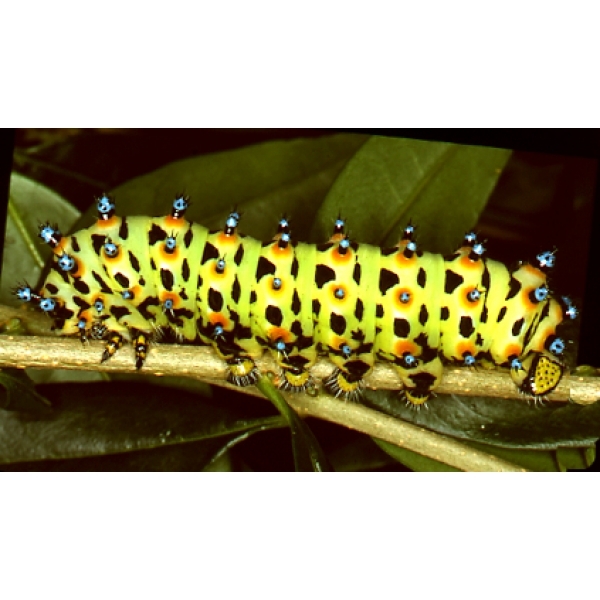 Very seldom offered, the larvae are very attractively coloured with spots of red, blue, and black on green/grey. Foodplants are Ash and Privet. Easy to rear. The moth is strikingly patterned in black with contrasting markings in scarlet and white.